The Scripps Institution of Oceanography measured an average of 388.92ppm CO2 concentration at their Mauna Loa, Hawai’i’s Observatory during October 2011 and 390.31ppm CO2 concentration during November 2011. These readings are from the Scripps’ dataset, not NOAA’s, which was my original data source when this series began. That value is the highest value for October and November in recorded history. Last year’s 387.15 and 388.62 were the previous highest respective values ever recorded. This year’s readings are 1.77ppm and 1.69ppm higher than last year’s. While under 2ppm per year, these two increases are significant. Of course, more significant is the unending trend toward higher concentrations with time, no matter the month. The yearly maximum monthly value normally occurs during May. This year was no different: the 394.34 concentration (value updated since my last post) is the highest value reported both this year and all time. I am more convinced than earlier this year that we will not witness CO2 concentrations below 390ppm during any calendar month. September and October were the only months this year which recorded concentrations below 390ppm. Judging by the year-over-year increases seen per month in the past 10 years, I predict 2012 will not see a concentration below 390ppm. I had earlier predicted that 2011’s minimum would be ~388ppm. I overestimated the minimum somewhat since both September’s and October’s measured concentrations were just under 389ppm. And while previous increases in CO2 concentrations occurred naturally (i.e., PETM), this event is decidedly unnatural. Moreover, it is occurring over an incredibly short time-frame. It is the speed at which concentrations are rising (see last figure above) that is likely to pressure ecosystems in the coming centuries. 400ppm will be a much-discussed threshold due to its psychological significance. We will likely pass that threshold on an annual basis in 2015. 450ppm is another threshold thrown about in the global warming discussion. We will likely pass that threshold in the late 2030s – or about 25 years from now. Given our historical emissions to date and the likelihood that they will continue to grow at an increasing rate in the next 25 years, we will pass a number of “safe” thresholds – for all intents and purposes permanently as far as concerns our species. It is time to start seriously investigating and discussing what kind of world will exist after CO2 concentrations peak at 850 and 1100ppm. I don’t believe the IPCC has done this to date. To remain relevant, I think it will have to do so moving forward. Categories: environment, global warming, science | Tags: 350ppm, 390ppm, 400ppm, CO2 concentration, CO2 concentrations, Mauna Loa Observatory, National Geographic, PETM, Scripps, Skeptical Science | Permalink. I saw a diary at DailyKos the other day that I wanted to spread to just a little wider audience. Some are from the Economic Policy Institute and some are from other sources. I will reprint one of the graphs – it’s one that I’ve seen monthly for the past 3 years and think it speaks volumes as to why the Occupy Movement remains viable and is growing. As you can see, horrific job losses continue 4 years after the month of peak employment. This is the longest such occurrence in modern history in the U.S. If we extrapolate that trend, employment numbers last seen in 2007 will finally be achieved in 2015. Meanwhile, population will increase and replacement jobs will continue to pay less than the originally held jobs. At this point, it is worth pointing out that President Obama needs to start owning the economic conditions his policies have created. He can’t keep pointing to Congress as if they’re exclusively the problem while he tries to play Mr. Nice Guy in Washington. Americans don’t want Mr. Nice Guy and barely functional economic policies. They want fully functional policies and politicians that can get them enacted. Everything else is secondary. 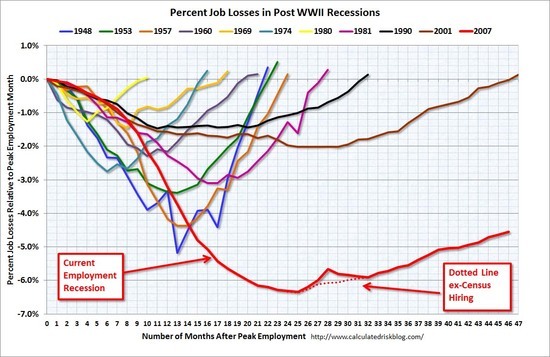 In the larger scheme of things however, this graph shows one of the effects of Teabagger economic policy: longer and longer employment recoveries. Make no mistake, this is exactly the type of situation that the 1% want to occur. Will there be recoveries after the next couple of recessions? I still think we’re witnessing a new normal condition of our economy. How soon that theory is validated or refuted remains to be seen. Categories: economy | Tags: Calculated Risk, DailyKos, employment, wealth inequality | Permalink. Past wind farm deployments and advances in the wind energy sector have worked to open up new areas primed for future deployment. As tower heights rise from 50 meters to 80 meters above the ground, turbine can capture more wind captured at one time (higher wind speeds are usually present away from the ground) as well as during more parts of the day. 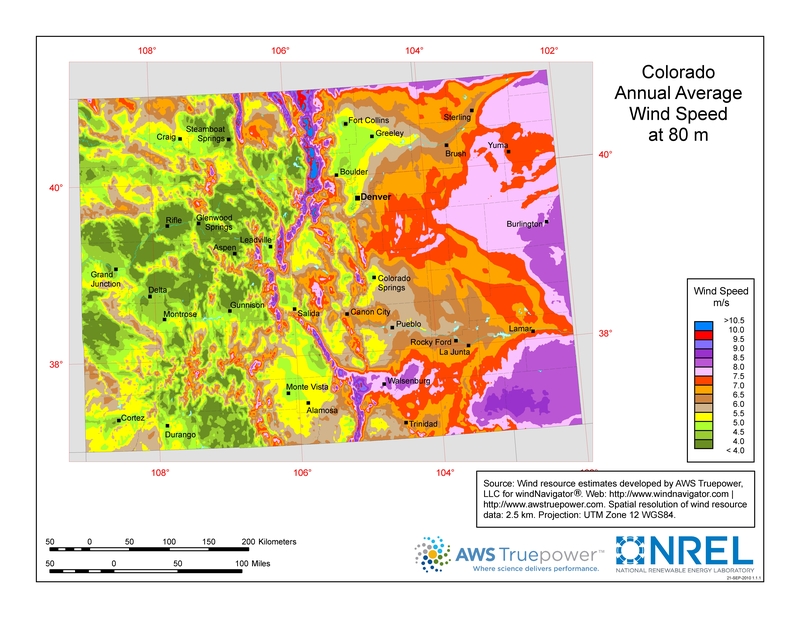 The result is that instead of 7.4-8.4 m/s wind speeds, new turbines can capture 8.5-10 m/s winds (see map below (gif source & pdf). This translates to a 1.2 cent reduction per kilowatt-hour of wind energy: 10.8 cents, down from 12.0 cents. My utility currently charges 4.6 cents per kilowatt-hour of energy. The utility’s energy mix as of 2010 was: 61.31% coal, 26.88% natural gas, 10.26% wind, ~1% rest). They are also filing for a 5.99% increase in electricity charges. Unsurprisingly, the cost of wind continues to fall as deployment accelerates and R&D is performed. This happens while corporate welfare for dirty energy still dwarfs the subsidies for clean energy. It is remarkable that the renewable energy sector grew at the rate it has while it has faced a relatively hostile policy environment. Imagine what the clean energy industry (and our environment) would look like if we were serious about it 40 years ago. I’ll have more of my thoughts on this kind of news going forward. Transitioning from 61.31% coal, 10.26% wind and 0.29% solar to a clean energy-dominant mix will prove incredibly difficult, for instance. Some good policies have been implemented to help that happen, but I wonder if the scope of the problem has been accurately assessed. Categories: energy, policy | Tags: clean energy, dirty energy, energy mix, NREL, solar energy, wind energy | Permalink. The other day, I ran across a story regarding OH Democrats’ incompetence in the redistricting task for that state and wrote about it here. They wasted time using volunteers to get petitions signed when a professional outlet was available and ready for work. But it gets worse than that: Democratic legislators ended up accepting the extremely gerrymandered Republican Teabagger map! So the volunteer effort was doubly wasted! Once again, I’ll recap: the map virtually ensures that 16 Republican Teabagger Congresspeople will be elected in 2012 while only 4 Democratic Congresspeople will be similarly elected. This in a state which decidedly elected President Obama in 2008 – it’s not a Teabagger state at all. So the good people of Ohio don’t get the appropriate representation for the next decade. But I guess that’s no big deal. Do you know why it isn’t a big deal? Because the fools in charge of the Ohio Democratic Party get to keep their positions! They remain in power of their moribund establishment while Ohio citizens get screwed! The problem with all of this, of course, is that the Democratic voters won’t dispose of their party officials. They’ll buy into the crap that they did everything possible and it was more than enough that “they shined light” on the gerrymandered maps. Categories: framing, meta, politics | Tags: gerrymandered districts, political strategy, Republican Teabaggers | Permalink. I haven’t written about polar ice conditions for a few months due to lack of time thanks to school. Hopefully my time availability moving forward will be high enough to keep this series going. The state of global polar sea ice area in early December 2011 has temporarily returned to near climatologically normal conditions (1979-2009). Arctic sea ice has recovered very quickly after starting the freeze season slowly and Antarctic sea ice is benefiting from weather conditions preventing extensive melt at the edges in much the same way as it did last year at the same time. Since my last post (covering August conditions), polar sea ice has generally recovered from an extensive deficit of negative 2 million sq. km. The long time that sea ice area spent near this dramatic condition is unprecedented in the modern era. Poor conditions established this development across the Arctic this year. According to the NSIDC, weather conditions this fall were slightly less conducive for Arctic sea ice melt than was the case in 2007, when the record low extent was recorded. As such, 2011’s extent was the 2nd lowest on record. Specifically, Arctic sea ice extent measured on 4.33 million sq. km. on September 9th. That was only 160,000 sq. km. more than the 2007 record low extent (about 3.7% of the minimum extent measured this year, a very small difference by comparison). For additional perspective, 2011’s minimum was 2.38 million sq. km. less than the 1979-2000 average yearly minimum. My prediction that 2011 wouldn’t miss 2007’s record by much unfortunately turned out to be true. One reason 2011’s minimum didn’t set a record was because the dipole anomaly didn’t set up in the same way or with the same intensity as 2007’s. We can’t count on these types of weather variations to disallow record lows in the future, of course. Another reason was the difference in ice motion: sea ice was likelier to remain in the Arctic in 2011 than in 2007. 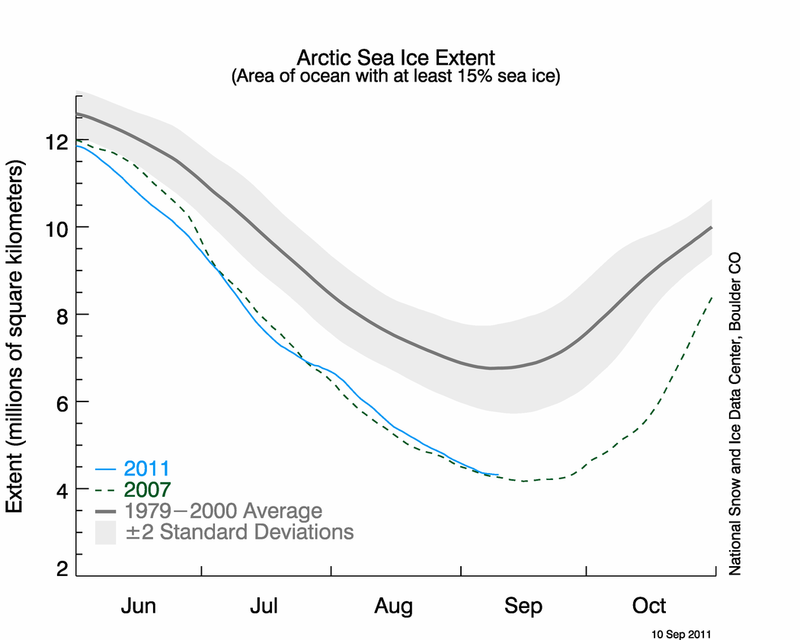 Since September’s record low, Arctic sea ice has refrozen rather rapidly. September’s average sea ice extent was 4.61 million sq. km. (vs. 7.04 million sq. km. average). October’s average sea ice extent was 7.10 million sq. km. (vs. 9.29 million sq. km. normally). November’s average was 10.01 million sq. km. (vs. 11.31 million sq. km.). During the fall, sea ice extent remained near record lows set per month in years past (2007 & 2010). In terms of longer, climatological trends, Arctic sea ice extent in September has decreased by -12% per decade; in October has decreased by -6.6% per decade; in November by -4.7% per decade. These rates are more negative this year than the previous year (a trend that has continued). These rates also use 1979-2000 as the climatological normal. There is no reason to expect these rates to change significantly any time soon. Additional low ice seasons will continue. The specific value for any given month during any given year is, of course, influenced by local weather conditions. But it becomes clearer every year that a new normal is being established in the Arctic. This new normal will continue to have far-reaching implications on the weather in the mid-latitudes, where most people live. 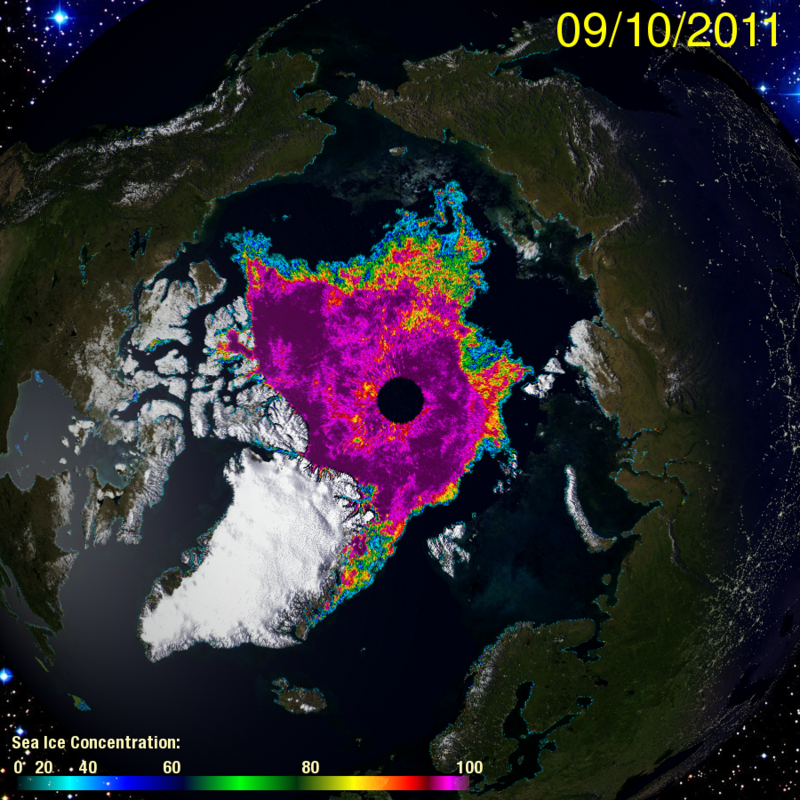 Figure 1 – UIUC Polar Research Group‘s Northern Hemispheric ice concentration from 20110910. 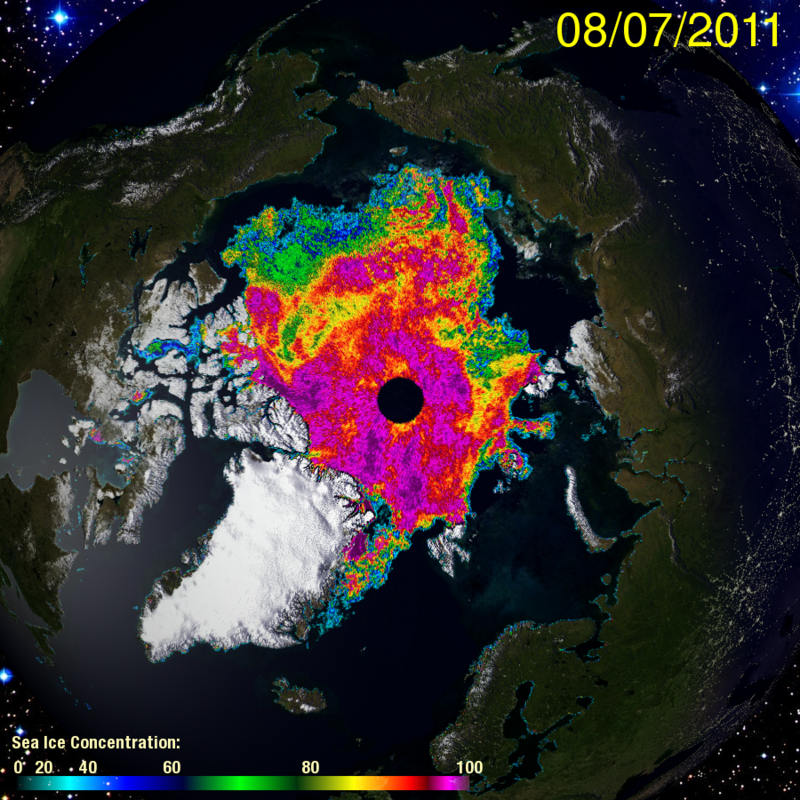 Figure 2 – UIUC Polar Research Group‘s Northern Hemispheric ice concentration from 20110807. 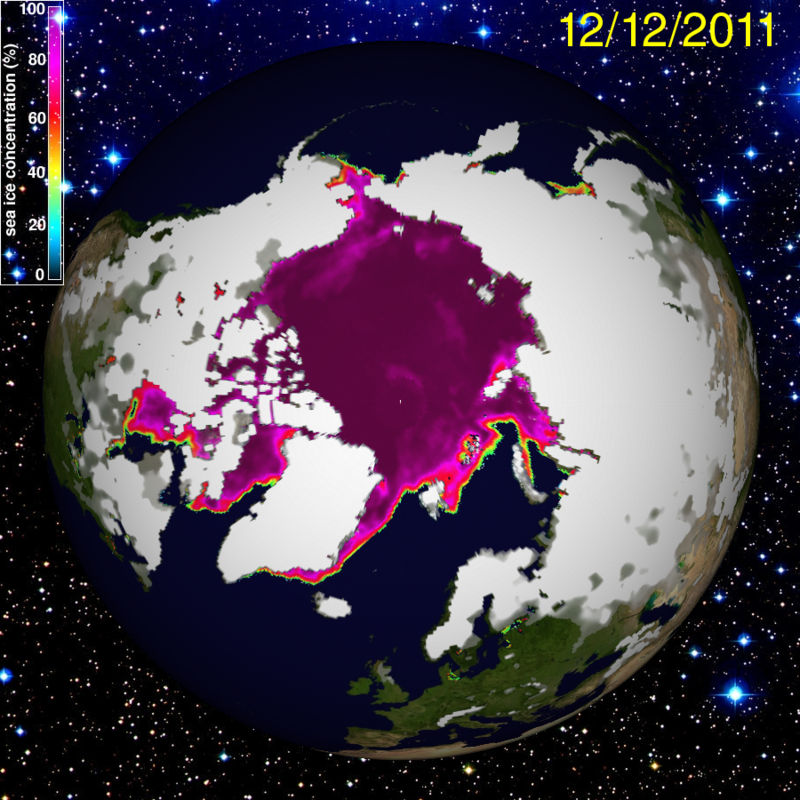 Figure 3 – UIUC Polar Research Group‘s Northern Hemispheric ice concentration from 20111212. There is more ice at this time of year in the Bering Sea and Hudson Sea than there were last year. There is missing ice north of Scandinavia – this is the result of anomalously warm conditions in that region during the past month or so. 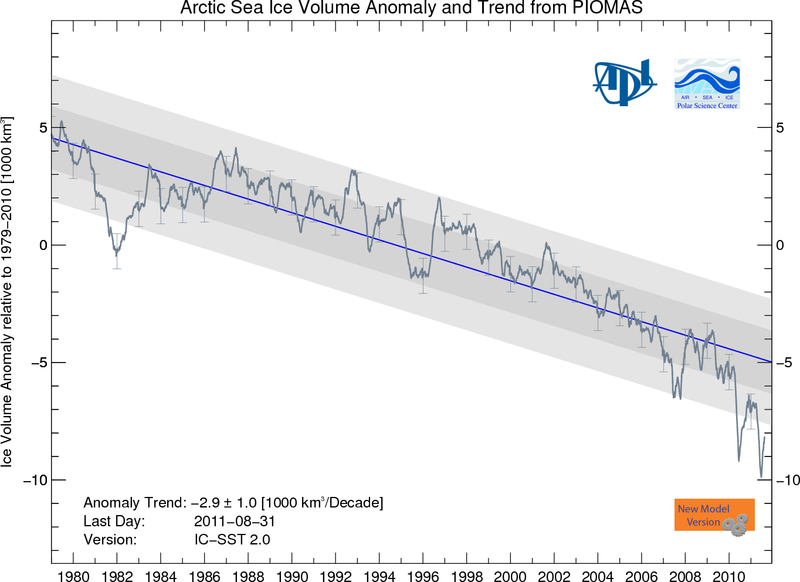 Figure 4 – PIOMAS Arctic sea ice volume time series through August 2011. Figure 5 – PIOMAS Arctic sea ice volume time series through December 2011. Within the past month, the magnitude of ice volume anomaly grew less severe, but remains in the 2nd standard deviation from the median. Just like the sea ice extent has a negative trend, the sea ice volume is decreasing by 2900 +/-1000 cubic kilometers per decade. The volume anomaly spent a substantial amount of time beneath the 2nd st. dev. value this year, just as it did last year. The declining trend in volume ensures that future years will witness additional low areal extents. 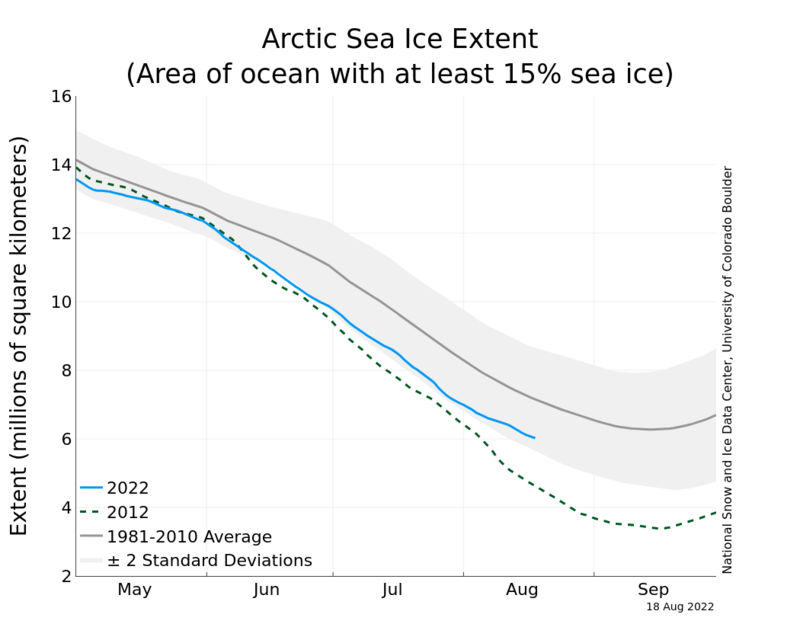 Figure 6 – NSIDC Arctic sea ice extent time series through early September 2011. 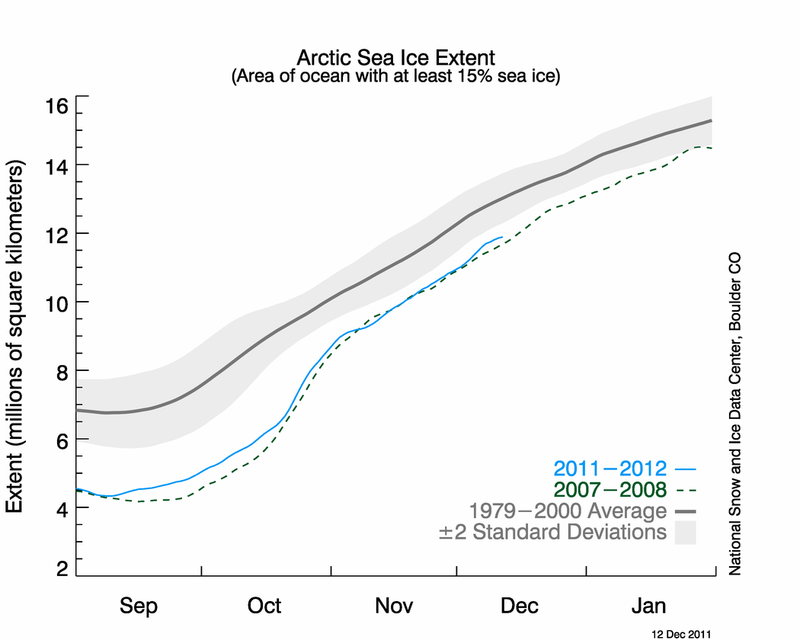 Figure 7 – NSIDC Arctic sea ice extent time series through early December 2011. 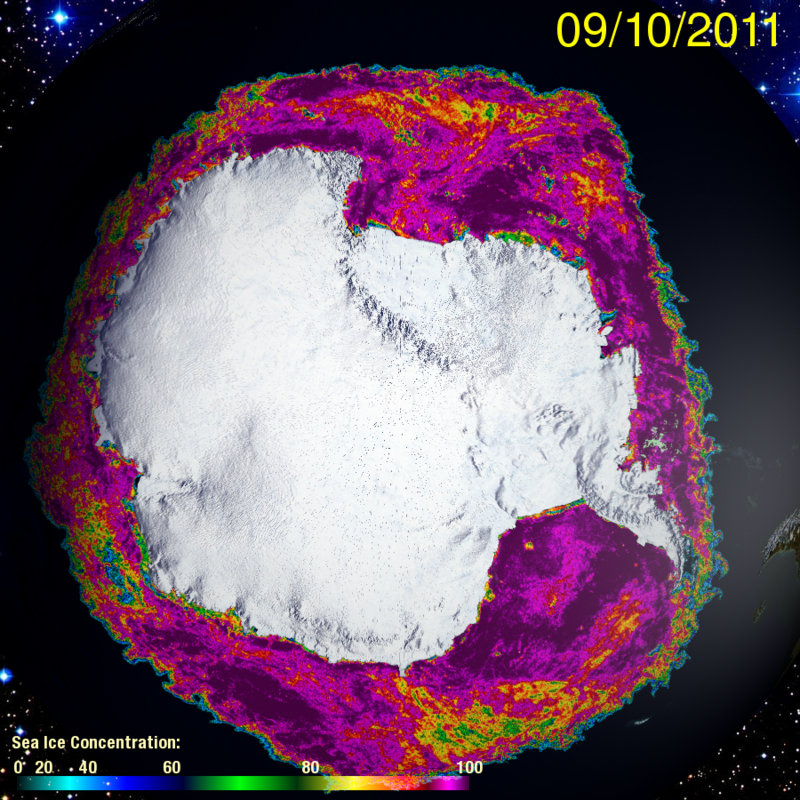 Figure 8 – UIUC Polar Research Group‘s Southern Hemispheric ice concentration from 20110910. 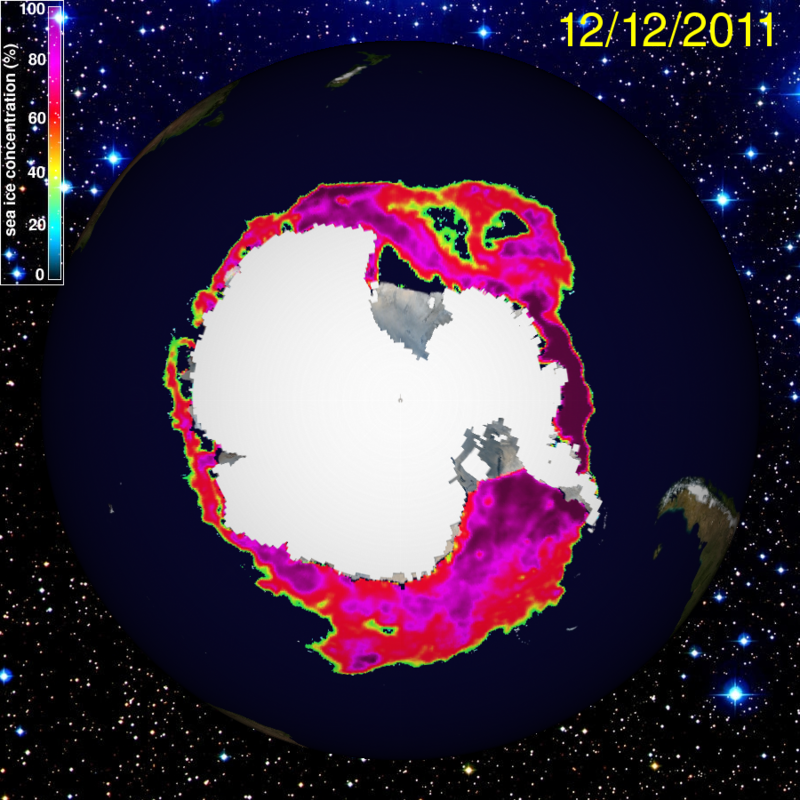 Figure 9 – UIUC Polar Research Group‘s Southern Hemispheric ice concentration from 20111212. Ice loss is easily visible around the continent. High ice concentrations remain well into the austral spring east of the Antarctic Peninsula (the land mass that “points” to South America). 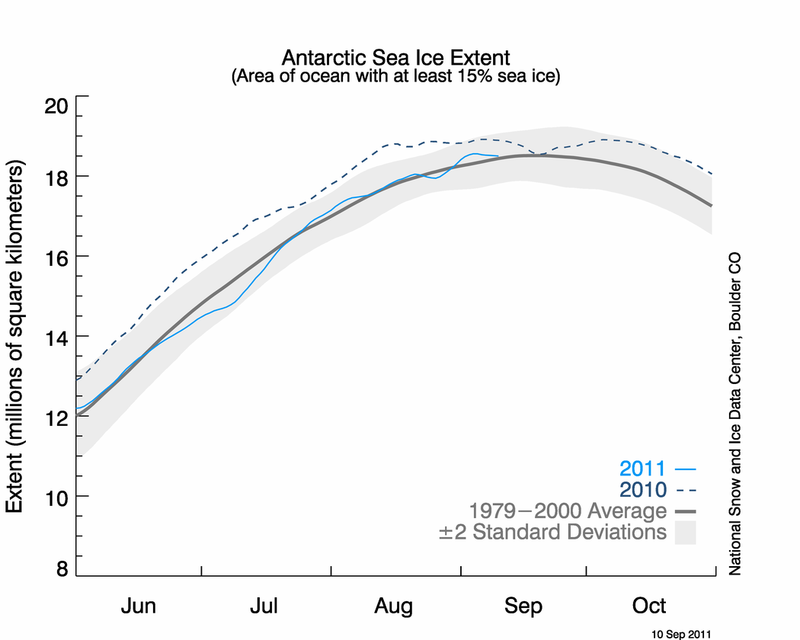 Figure 10 – NSIDC Antarctic sea ice extent time series through early September 2011. 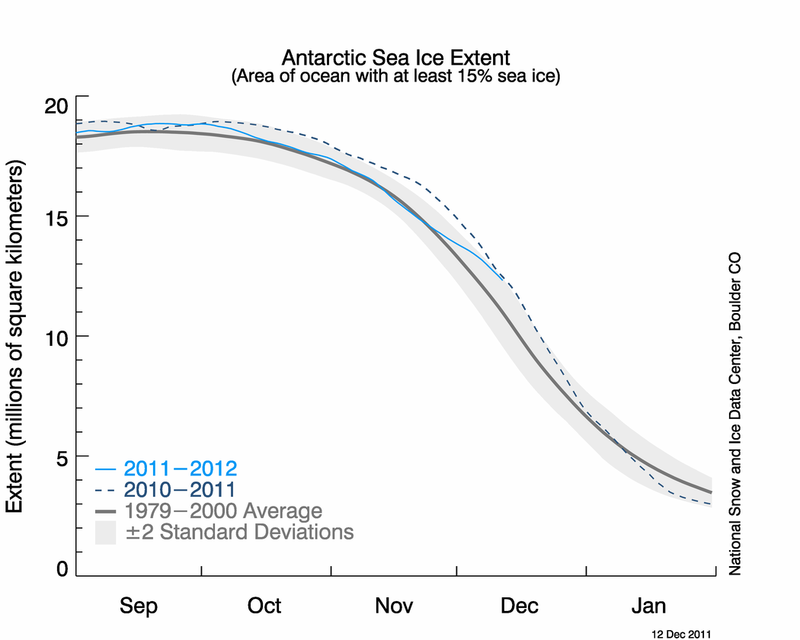 Figure 11 – NSIDC Antarctic sea ice extent time series through early December 2011. You can see how recent weather conditions have slowed the rate of ice melt in the past few weeks. As weather conditions are highly variable from week to week, I expect the rate of melt to increase again soon: the +/- 2 standard deviation envelope is close to the average, as shown in Figure 11. Conditions were different in the early austral spring between 2010 and 2011. They are now much more similar in value. The biggest reason for the different trends seen in Arctic and Antarctic data? It’s the so-called ozone hole. One project I did this semester was a literature review on the mechanisms and projections of ozone loss in the stratosphere. I will post most of that material on this blog after I make some adjustments. Put simply, ozone absorbs UV radiation (high energy) and re-radiates that energy as heat into the stratospheric air. As CFCs and other compounds have introduced halogens to the stratosphere and as UV radiation has released reactive forms of those halogens, ozone loss has occurred. As ozone concentrations decrease, less heat is re-radiated to the stratosphere. Colder air has therefore been present over Antarctica than otherwise would be the case. Greenhouse gases have reinforced this process. As CFC levels decrease in the future, however, stratospheric and columnar warming should occur. After a few more decades, global warming will have more influence over Antarctica and we will see how sea- and land-based ice is then affected. Here are my State of the Poles posts from August and July. You can find NSIDC’s December report here. Categories: environment, global warming, NASA, science | Tags: Antarctic sea ice extent, arctic ice, Arctic sea ice extent, climate change, climate change effects, global sea ice, global warming, ice thickness, NSIDC | Permalink. OH Democrats made an awful decision to go cheap in their effort to gather signatures to block the Republican Teabaggers’ horrifically gerrymandered congressional district map. Instead of paying a willing firm to help gather signatures, they felt an all-volunteer force was sufficient. With 12 days left to a deadline, Democrats still need to collect more than 100,000 additional signature. That’s slightly less than the number already gathered in 5 weeks’ time. Oops. In a state that is known for being pretty evenly split between the two major parties, the Teabagger map would result in 12 Teabagger seats and only 4 Democratic seats. The inability to make good decisions has its consequences. Establishment Democrats seem unable on any level to truly understand how to engage in politics. The Teabaggers aren’t going to play nice just because the Democrats want to. Perhaps a decade in the extreme minority will help galvanize grassroots Democrats to put together more effective strategies. Don’t hold your breath, though. Categories: politics | Tags: gerrymandered districts, political strategy, Republican Teabaggers | Permalink. A couple of messages to the “capitalists” and “Law & Order” types out there: 1)entities need to honor contracts as agreed to & 2)it’s not the workers’ fault that politicians promise the moon without intent to deliver. Public pensions were part of contracts that parties negotiated and signed in good faith in the past. After American citizens worked in their careers for 30, 40 years and in some cases beyond in jobs that private sector folks chose not to pursue because there is no glory or fortunes in them, public sector workers deserve their earned and due benefits. Meanwhile, private corporations off-loaded their pension plans by privatizing them and putting their management in the hands of respective workers. You know, the “personal responsibility” and “freedom” mentality at work. Wall St. turned itself into the biggest group of casinos in the world, betting on those privatized accounts (as well as others) while its lobbyists successfully deregulated the financial markets. The result? The 2007 financial collapse and subsequent economic disaster that has unfolded. Also during this time period, one of the puppets of crony capitalists, Grover Norquist, successfully led a national campaign to ensure politicians cut taxes on the richest Americans. As a result, local, state, and national governments find themselves in nearly perpetual debt. Now, crony capitalist supporters are criticizing public workers (in just one more way) for their foresight to secure a solid retirement. The capitalists’ method didn’t work out so well and the socialists’ were more successful (not completely, obviously). Again, entities need to execute signed contracts in good faith – public workers more than deserve their pensions (they held up their end of the bargain for decades), they deserve the respect of the rest of us for their choice in life path and adherence to the rules during their careers. Critics with sour grapes don’t have a legitimate complaint against those workers. This is just a small part of the Occupy Wall Street movement. While financial titans have seen their tax rates decimated and their bonuses skyrocket, often at the expense of workers’ jobs by the way, public sector employees have continued to earn less in salary per year than their private sector counterparts for similar work. It’s a classic example of the 99% vs. the 1%. Polarizing rhetoric of the past 30 years continues: private sector workers are turning their ire from being duped and taken for the ride their lives on those same public sector workers instead of the 1% who engineered the entire situation. If they fight among themselves, workers can’t and won’t hold the 1% accountable for their actions. So much for “Law and Order”, personal responsibility and responsible capitalism. Categories: framing, meta, politics | Tags: crony capitalism, Occupy Wall Street, public pension | Permalink.